Blue Reef Sport & Fishing Lodge has been set up by Thomas Boer, Nicky Boontje and Nathan Boer, all Dutch citizens. During 2016, the second location, Blue Reef Bungalows was developed. By education and employment they possess a variety of skills, which are complementary for a great deal. Thomas worked for many years as a judo trainer on international level, a sport teacher and he set up a business for personal training and life style coaching. Nicky graduated as a clinical biochemist and did academic research for the Dutch Heart Foundation. She was a successful part of the Dutch judo team for about 10 years. Nathan studied laws and afterwards worked at an international company as a senior tax-advisor for commercial businesses. The three of us share a passion for sports. On top of that Thomas and Nathan have another addiction, fishing. A lot of fishing hours on the lakes and rivers of the Netherlands has made them very experienced fishermen with a balanced ecological view on nature. Why we gave up all those achievements to move to Zanzibar? We have travelled a lot around the world and were always attracted by exotic destinations in Asia, Africa and the Great Pacific. When we visited Zanzibar in 2012 we were appealed by the friendly people, who created an easygoing and laid back atmosphere totally different compared to Europe. Added to the beautiful coast and the great fishing opportunities, we decided that this island will be our new home country! We imagined that the lack of any sport-facilities and affordable fishing activities at the east coast of Zanzibar offers a great potential to start a Sport and Fishing Lodge. 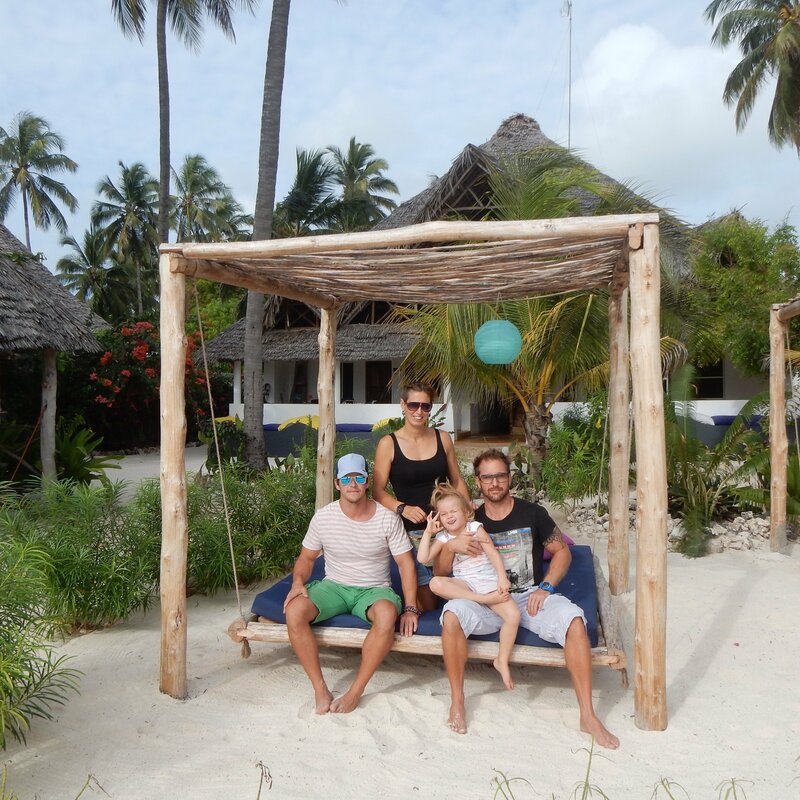 Our idea is to create an intimate, affordable and sustainable guesthouse where sportfacilities and fish activities can be combined with exploring Zanzibar.